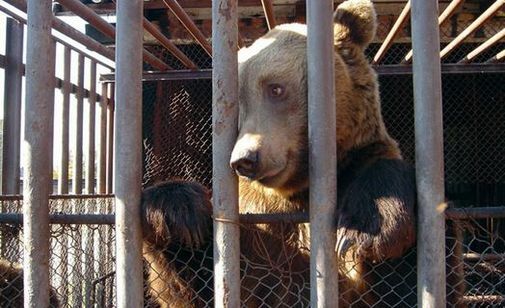 Romanian Bear Sanctuary will soon open a Teddy Bear Museum to help feed and rescue more bears. 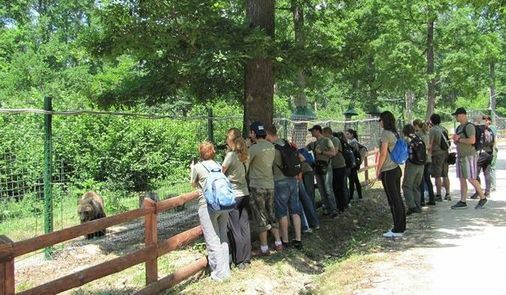 Visitors to the bear sanctuary will soon be able to visit a new attraction; the first Teddy Bear Museum in Romania. The museum will be based in the Libearty Sanctuary Visitor Centre and will attract those who visit. Their entrance fees and souvenir purchases all help to cover the cost of caring for the rescued bears and to help rescue other bears. 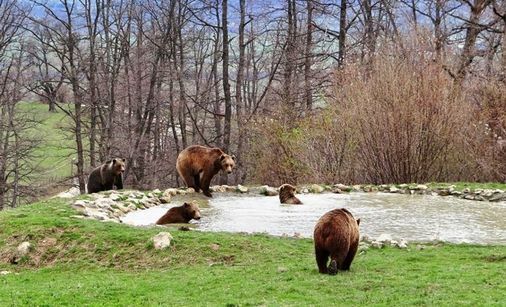 The Libearty bear sanctuary now features 80 rescued brown bears that are cared for in huge a huge oak forested enclosures in central Transylvania. 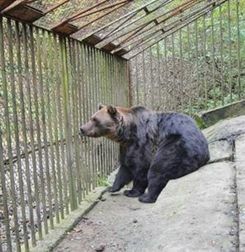 The Libearty Bear Sanctuary was created to care for bears rescued from illegal and cruel captivity in Romania. 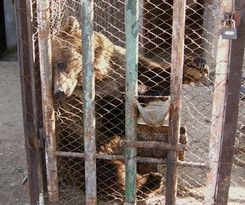 Often young bears were caught from the wild and kept in small cages, outside restaurants and petrol stations, as attractions. Others were simply kept as private pets. 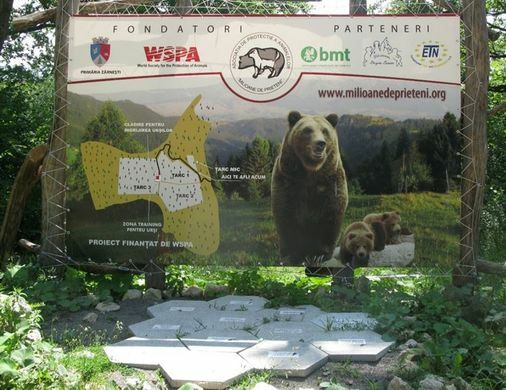 But when a local animal group called Milioane de Prieteni (Millions of Friends) got together with the World Animal Protection Organization back in 2006, they convinced the Romanian authorities to enforce the law and confiscate all of the illegally caged bears and to move them to a forested sanctuary. 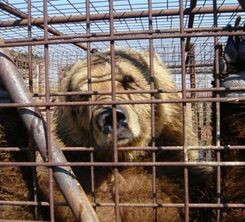 There the bears could be given the necessary veterinary care, a proper diet and a natural expanse of protected forest where they could start to live like bears again. 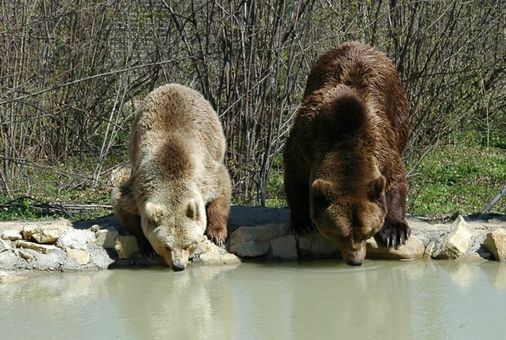 Bears like Cristi and Lydia who now drink freely from the pond, spent 20 years in a small cage beside a restaurant and today they have everything they need to live a happy life in their forest sanctuary. 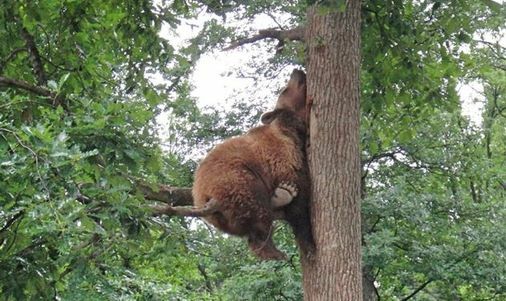 The rescued bears now spend their days lazing in the grassy meadows, swimming with their new-found friends in the large fresh-water pools, or they climb trees to look out over the Carpathian Mountains. 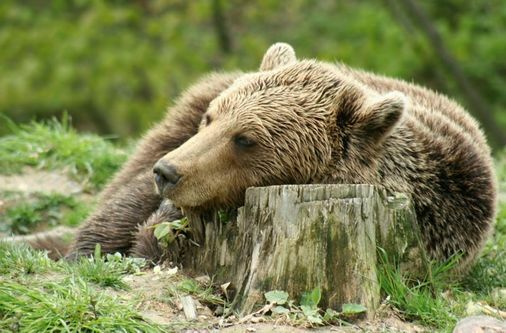 Occasionally you can even hear snoring as the bears snooze high up in the trees or use a tree stump as a pillow. 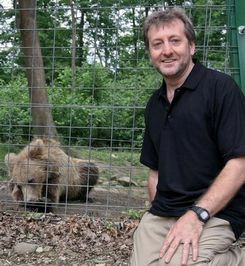 The sanctuary has 30 hectares of oak forested enclosures in which the rescued bears now live. Tall fences surround the enclosures to prevent the bears trying to climb out and they are given over a ton of fruit and vegetables a day by the sanctuary staff. In the luxury of their new forest home, it is no wonder that these bears all look extremely relaxed and spend their days playing with each other. No bear would want to leave! The sanctuary has a new sign that greets visitors who can join a tour to see the happy bears and learn of their stories. There is even a tree-top rope bridge and walkway to spot the bears from up high. 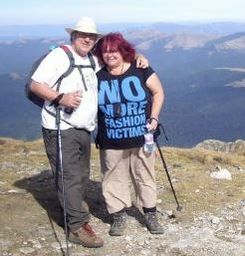 How can you help the bears? 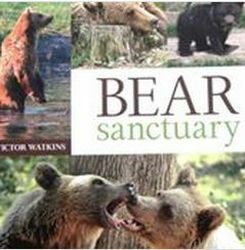 All of the rescued bears have their own unique story and these are told in a new book called Bear Sanctuary. It is available from Amazon and is authored by Victor Watkins. Your name, and if you are a teddy artist, your web site will also be listed. Couple makes bear charm bracelets that help raise funds for the bear sanctuary. Click on their photo to learn more and to order online. We will have an update on the progress of this new Teddy Bear Museum in a future issues of Bears&Buds. 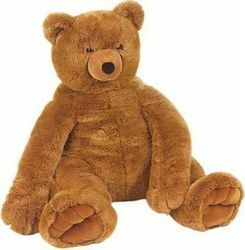 Receive teddy bear news and show announcements. We protect our mailing list. Collectors - if you like reading articles like this, why not subscribe to Bears&Buds? Just $15.00 a year. You'll receive a collector's lapel pin and a password to enter the Collectors' page where you'll find more wonderful articles..
Artists - would you like to be seen by our worldwide readers each month? Become a Professional Artist-Member of Bears&Buds today! Advertise FREE ! Your membership password will take you to the B2B section loaded with selling, making and how-to ideas.